Ico and Shadow of the Colossus had deviously hidden secrets. Hidden areas and special weapons awaited players who explore those games to the fullest. But where are the secrets for The Last Guardian? A detailed blog post by user Nomad Colossus compares The Last Guardian to previous games by creator Fumito Ueda. The post looks exhaustively at the game’s setting but also points out a curious fact: no one’s found any big secrets yet. In Ico, players could find a hidden room that would reward them with a special weapon if they tossed a random ball into a container. Shadow of the Colossus had a majestic hidden garden at the top of its central shrine that held forbidden fruit that lowered the main character’s stamina gauge. Major secrets like these are driving players to look for similar discoveries in The Last Guardian. 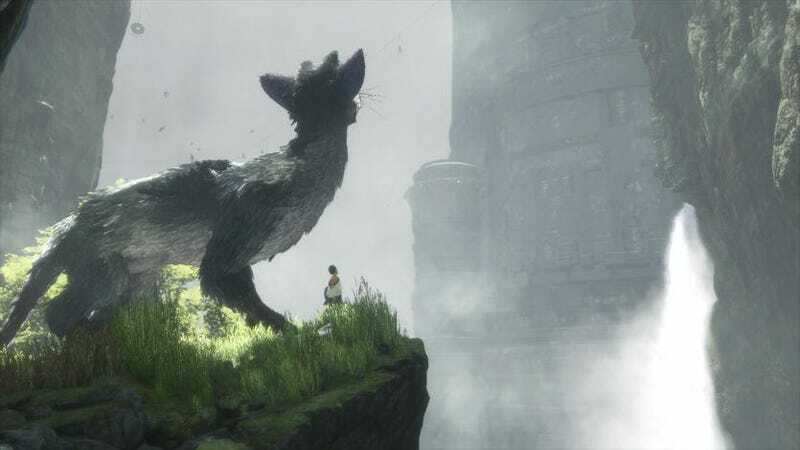 Players like Nomad are combing the game’s areas, sending the Boy and Trico to the outer limits of maps and climbing to dangerous heights to find secrets. In the video above, he obsessively combs over the game’s harder to reach areas. These searches reveal a robust game space and even located a firefly filled courtyard but have yet to find anything major. It is possible to unlock special items in The Last Guardian. Feeding the super awesome birddog Trico gives the player magical outfits to dress up in and special tools to paint their monster friend various colors. The closest thing to a major secret is a small touch in the game’s final screen. After the credits, the camera zooms down into a cave where we find that Trico has survived. His eyes glow in the darkness. But wait! If players hold down the circle button, his horns glow too. Is your mind blown yet? Hopefully, that’s not all that The Last Guardian has in store for secret hunters. For now? We’ll just have to settle for some super secret glow in the dark action.